45 years of history consecrated with an official celebrating national postage stamp! 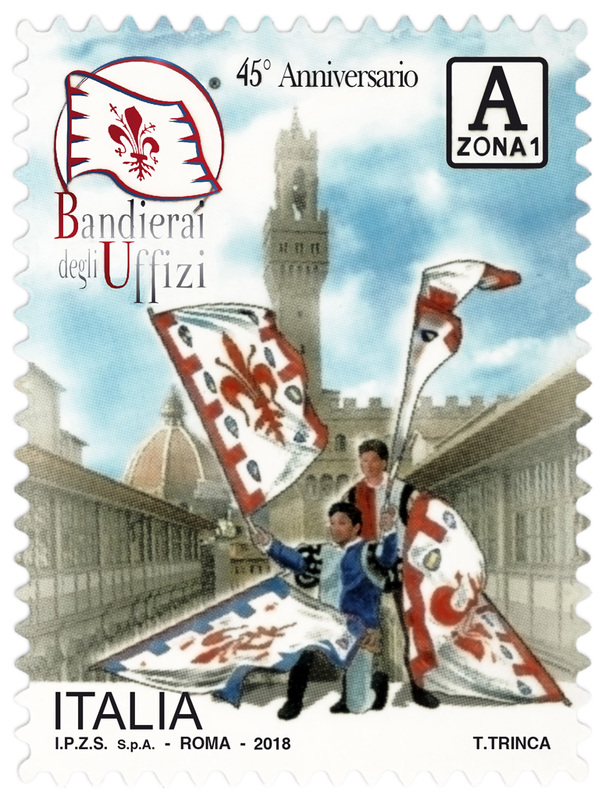 Italian Minister of Economic Development issued, today september 26th 2018, the postage stamp honoring the city of Florence and the long time activity of Bandierai degli Uffizi in their 45th foundation’s anniversary. 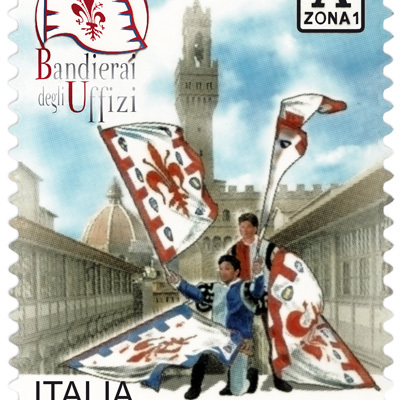 The stamp, drawn by Tiziana Trinca, is printed by Istituto Poligrafico e Zecca dello Stato. Background’s images are Galleria degli Uffizi, Palazzo Vecchio and Cupola del Brunelleschi of Florence’s Cathedral Santa Maria del Fiore. 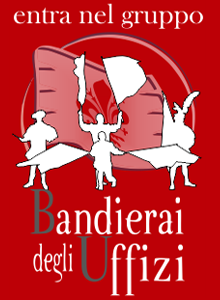 Two Bandierai degli Uffizi’s flagwavers are represented in front with the title “45° ANNIVERSARIO” and “ITALIA” at the bottom.